The care you need, all under one roof. Sylvia Chudy is a passionate and caring family physician who is driven to take the delivery of healthcare to the next level. In her role as a primary care physician, she has become dedicated to providing quality care to her patients while developing an impactful relationship with them. Her goal in patient care is determining the root cause of chronic illness and disease prevention. She has, thus, taken on a personal interest in integrative medicine and functional medicine. Since residency, she has treated patients in the inpatient, outpatient, and nursing home settings, and has also mentored family medicine residents. She has been involved in the New York State Academy of Family Physicians in pushing forward an integrated approach to primary care. She is always striving to connect with like-minded physicians and healthcare providers who seek to focus on an integrated model of health and wellness for patients that includes lifestyle modification. Sylvia was raised in New Jersey and has spent the last ten years in New York. She enjoys spending time with family and friends, traveling, the outdoors, photography, and international cuisine. She enjoys the hustle and bustle of the city, but also takes comfort in spending time with her family pet or tending to her orchids. Education: BS Pathologists Assistant – St. John’s University, MS Toxicology – St. John’s University, DO – New York College of Osteopathic Medicine, Osteopathic Internship – St. Barnabas Hospital Bronx, N.Y.
Robert Pampin knew early on in as he began his college education science had an incredibly strong hold on his interest. Along the way he also additionally enjoyed philosophy and the humanities. As his journey moved forward he met key mentors who would drive this passion further. Inevitably this collective experience led him to apply his efforts to a career in medicine, in particular Family Medicine. This specialty afforded him the ability to meld all of his interests and see patients in the context of our complex and ever changing healthcare, and social system. As his career has developed he has come to realize that most of the disease he saw was in large part preventable. In particular the current obesity epidemic has been exploding with major impact on public health. This being the case Robert has recently become board certified in bariatric(weight loss) medicine by the ABOM and has integrated this into his care. With 2/3 of all adults in the US being either overweight or obese there is much work to be done. He has been quoted as saying that “If I can prevent more disease than I treat over my career, then I have done some good”. That is how he approaches his patient care and is thrilled to be part of the Crossover Health family dedicated to patient centric care. Outside of the office Robert enjoys time with family and putting into practice what he preaches. Diet and exercise are important parts of his life and attempting to lead by example he feels is an important responsibility of a physician. Additionally he is often said to have a comedic sense, and loves to find the humor in life as well. Since his children were young the family will frequent Manhattan and enjoy the educational as well as the cultural diversity offered. Having been born in the Bronx, and doing his training in NYC being at Crossover Midtown is like coming home again. He is thrilled to offer his experience to the team, and is dedicated to offer the highest level of integrative care possible to his patients. 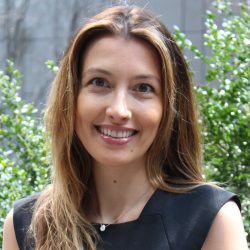 Bojana Jankovic Weatherly, MD, M.Sc. 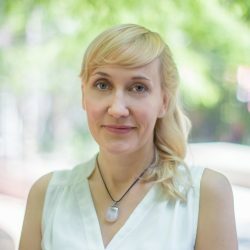 Dr. Bojana Jankovic Weatherly is a board certified internal medicine physician with special interests in integrative medicine, nutrition and mindfulness. Prior to moving to NYC and joining Crossover Health, she practiced primary care at Cedars-Sinai Medical Group in Beverly Hills and worked in executive health. 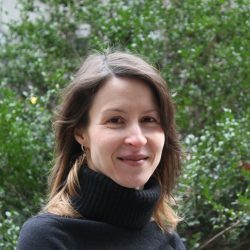 As part of her mission to deliver accessible evidence-based health and wellness information and empower people to live healthier lives, she created her website, drbojana.com, that features her videos, articles and recipes. She has also appeared on the Today Show and Rachael Ray. She is the Chief Medical Officer and Co-Founder of WellStart Health, a digital platform aimed to reverse and prevent chronic disease. Dr. Bojana is the recipient of several patient satisfaction awards at Cedars-Sinai and was named one of the Southern California Top Doctors’ Rising Stars in 2016 and 2017. 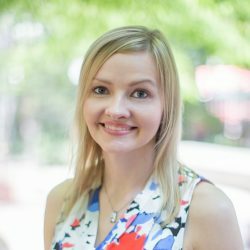 Throughout her academic career, Dr. Bojana Jankovic Weatherly has performed research in the areas of endocrinology and oncology, and published papers in peer-reviewed journals. She has also presented her work at conferences including the prestigious American Society of Clinical Oncology. She is the recipient of numerous honors and awards. She has also established herself as an educator and speaker, teaching UCLA medical students and residents in the Cedars-Sinai internal medicine residency program, as well as speaking on health and wellness in academic settings, corporate world and yoga studios. Dr. Bojana is dedicated to supporting and empowering individuals to achieve their optimal wellness. She is passionate about speaking on wellness and ways in which we can transform and nourish our bodies and minds. A lifelong learner, she is completing a fellowship in Integrative Medicine established by Dr. Andrew Weil at the University of Arizona and is training in functional medicine at The Institute for Functional Medicine. Dr. Bojana loves spending time with her two children, husband and their German Shepherd in nature, experimenting in the kitchen, exercising and practicing mindfulness and yoga. Nicole is a dual board-certified Adult-Gerontology Nurse Practitioner licensed in the state of New York. Nicole has an extensive nursing background that began in 2005 as an Associate prepared nurse. She received a Bachelor of Science in Nursing degree from Chamberlain College of Nursing in an accelerated program in 2010. She later earned her Master of Science degree from New York University, and is currently obtaining her Doctorate of Nursing Practice degree from Stony Brook University. She specializes in primary care, preventative care, well women visits, and addiction medicine. She has experience in treating an array of chronic and acute illnesses. Born in Jamaica West Indies, and raised on Long Island NY, Nicole loves to travel, enjoys spending time with family and friends, attending medical conferences, volunteering, watching movies, and singing. She has a passion for treating patients and providing high-quality health care. I grew up in North Carolina where I gained my nursing degree on the coast at UNCW in 2010. My enthusiasm for helping others and thrill for a fast-paced environment led me to my career in the Emergency Department. I took a short hiatus in 2012 while I spent some time in the Cardio-thoracic Surgery ICU at Johns Hopkins where I was able to expand on my critical care knowledge. In 2016 my love for traveling led me to NYC as a travel nurse where I worked in various Emergency Departments in the Manhattan area. My love of great food, sunset runs on the Hudson and good coffee made it clear that I was here to stay. Professionally, I’m inspired by an integrated approach to medicine where we have the opportunity to work creatively and collaboratively to establish overall wellness, both mind and body. I currently live in Manhattan and enjoy exploring new restaurants, exhibits, and walking adventures with my dog Bentley. I also enjoy raw oysters, rooftops and candles. Somerlyn has a Bachelors in Nursing from Azusa Pacific University. Her journey as a nurse has provided her with a wide range of opportunities and experiences in both traditional and non-traditional settings, shaping her global perspective of health care. 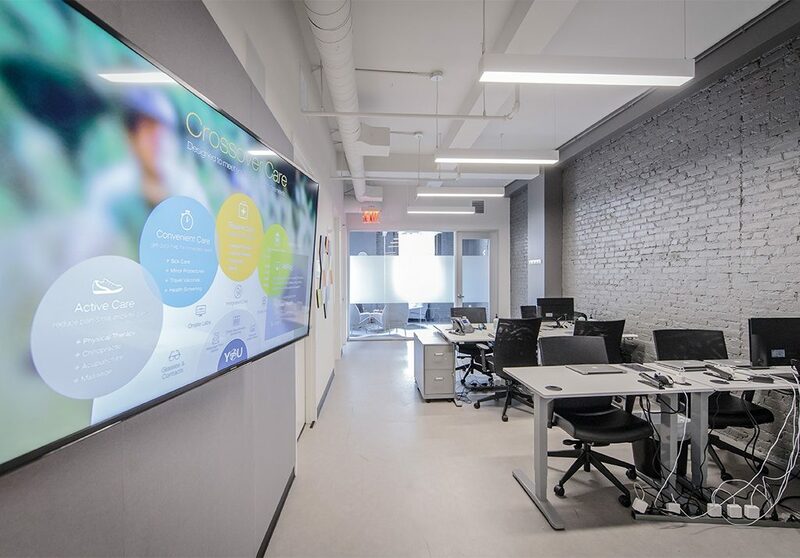 From working autonomously in pediatric home health care, to collaborating with diverse medical teams internationally, and most recently coordinating research studies at Stanford, Somerlyn has developed a passion for preventative health care and patient education. Her heart for service and zest for adventure has led her to many different countries including Kenya, Germany and Mexico, where she was able to work, serve and educate those with little to no access to quality health care. When Somerlyn isn’t in scrubs, she enjoys cooking, good books, running, the ocean and traveling with her husband to the far corners of the globe. She is creative and driven and passionate about health. She believes that wellness is key and that with the right care and education, we can inspire people to identify and pursue their own health goals. Galina has always had a passion for helping people since a young age. When it came time to choosing her professional career, there was no better choice than nursing. Galina graduated with a dual degree of Bachelor of Science and Bachelor of Nursing from Long Island University. She started her career in Bellevue Hospital Center, in a fast paced environment of the medical intensive care unit. She has a calm manner and a quiet enthusiasm that are particularly suited for patient care in a critical care setting. She listens and observes very intently, gathering the subtlest details of her patients’ clinical pictures and helping to guide their care in important ways. Her strong interpersonal skills, ability to multitask, and solution driven mindset quickly transitioned her into a leader of her unit. After a few years of working in the Medical Intensive Care Unit, Galina has moved on to helping beautiful babies come into the world. Her role as a bedside nurse in Labor and Delivery really strengthened her passion for patient education. Her calm, assured, and gentle character can always bring a smile to her patients. She is able to rise to any occasion and accept new challenges with a positive attitude and see them as an opportunity for growth. Samantha is a driven individual who cares about her work and the relationships she forges while doing it. She love working with people on a personal level and getting to know what makes a project work best for all that are involved. She never shies away from a challenge and always gives everything she has towards accomplishing her goals or the goals of the team. For the past year, Samantha has been working in the rehabilitation therapy industry, caring for patients and staff with a keen eye towards rebuilding and strengthening for the long haul. As a college athlete, she saw first-hand the torture of a destabilizing injury and the kindness and precision necessary for full recovery. She has a passion for competition and expects excellence in all she does, winning the praise of patients and staff alike. Samantha was born in Hoboken, NJ, she attended college at Arcadia University, and played varsity lacrosse, earning her degree in psychology. She is also the first person in her family to earn a four-year degree. She is one of 4 children and strives to be a good role model for her siblings and help around the house when she can. Samantha enjoys working out, traveling, playing sports, cooking and spending time with family and friends. As a graduate of SUNY Canton’s Health Care Management program, Angelina’s ultimate goal is to supply the people she encounters and her community with the best possible quality care and customer service. Growing up with two generations of nurses in her family, she always knew that a hospital environment is where she was herself in the future. Angelina is described by her family and friends as reliable, loyal and compassionate with a bubbly personality; she truly loves putting a smile on people’s faces and making a positive difference. During her internship at Bronx Lebanon Hospital, she was able to develop her interpersonal skills as well as her skills in customer services. One of her biggest achieves thus far is creating the transcript for the Claremont Health Village Initiative, an outreach organization that works towards the beautification and improvement of the South Bronx. She was able to locate, map and contact over 150 community gardens, food pantries, integrated health sites, and youth organizations all over the Bronx in order to promote community growth and wellness. 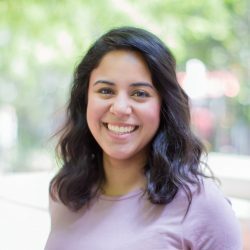 As the former President of her sorority, Alpha Chi Omicron Inc., Angelina places a huge importance on team efforts, kindness and community assistance. This youngest of three and former child pageant winner enjoys her art in the forms of makeup, fashion, music, and food! She also enjoys a quiet night in with her beloved cat, Roger. 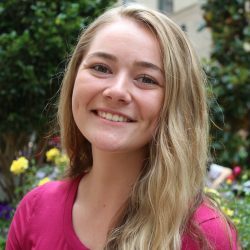 Mackenzie Wilde is a recent graduate who is looking to make a difference in the way individuals and groups care for their health. During her college years she made a decision to change her lifestyle and begin a new journey toward a better self. She always practiced a positive outlook on life and saw the glass as half full, rather than half empty. This positive outlook, Mackenzie believes, is what landed her a position at Henry Schein as Risk Management Intern, and her drive is what she says allowed her internship to be extended from the summer into the remainder of 2016. During the fall she was able to handle her responsibilities in this positon while enrolled as a full time student. Mackenzie loves a challenge and believes learning to prioritize, as well as adapt, are strong keys in multitasking through a progressive method. in their daily lives even if it’s as simple as reaching a step goal. Gary is a dynamic and empathic person in all aspects of his life. He is ready to adapt to any situation and is enthusiastic about experiencing new things. He is especially keen on using his empathy to understand fully what his patients are going through and to see the person in front of him, and not just the injury that they have. He has been incorporating this in his practice of almost ten years and has lead to developing great relationships with his patients. Having worked with various individuals, from the barista at your favorite coffee shop to the CEO of a multinational company, or to professional athletes, his approach and dedication to each person has been the same. Along with his more personal approach and practical knowledge, he has made sure to accompany this with clinical expertise. He holds a specialization in orthopedics which is held by less than 5 percent of physical therapists in the US and ranked 9th in the whole country during his board examinations in the Philippines. To supplement his practice, Gary employs various manual therapy techniques, Kinesio taping, and the Graston technique. “G-man” or simply “G” is energized by photography, being outdoors, playing soccer, dancing hip-hop or salsa, trying different kinds of food, and most especially by his wife and little boy. He is fueled by creativity and activity and is looking forward to gaining more meaningful experiences in life. Anna is a licensed Physical Therapist in New York and the Philippines, with over 12 years of clinical experience in various rehabilitation settings, primarily and extensively in the field of sports and orthopedics. Anna’s approach to patient care is highly personalized and holistic, focusing on finding the root cause of the clients’ aches and complaints through exhaustive evaluation and active listening, instead of tunneling into their injury site. Aside from the quality of care she provides, she also aims to teach her patients ways to manage their aches and pains before it gets worse; equip them with powerful knowledge to better understand their body and health; and impact necessary changes in their lifestyle to prevent future injuries. Anna earned her degree in Physical Therapy from the University of the Philippines in 2005. Early in her career, she practiced in the field of pediatrics and neurology, privately and in hospital settings. Shortly after, she moved her practice to one of the most prestigious sports and orthopedic physical therapy centers in the Philippines where she worked with a wide range of clients; from professional/semi-professional, collegiate, and young athletes to your weekend warriors, gym fanatics and sedentary individuals. She also had the opportunity to work as part of on-field medical teams in various sports activities such as judo, volleyball, basketball and cheer dance competitions. Her passion and commitment to pursuing greater challenges, extensive training and life-long learning led her to New York City in 2010. Anna focused on honing her manual therapy skills and clinical reasoning through various training and courses and later received her Mastery Certificate in Manual Therapy. During her free time, she enjoys traveling, dancing, exploring the city and the outdoors, watching musicals/theater/sports, and most importantly spending time with friends and family especially with her husband and young daughter. With a passion to heal and a purpose to inspire, Jacqueline believes that every individual is so much more than a diagnosis or an injury. 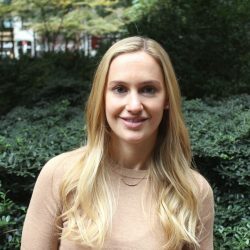 NYC born and bred with over 13 years of experience in the field of physical therapy, Jacqueline has treated patients and clients in a variety of clinical settings. She began her career journey in acute rehabilitation where she specialized in working with patients with traumatic spinal cord injury and amputation, in oncology acute care at the leading hospital for cancer treatment on the east coast where she became a Certified Lymphedema Therapist, and in outpatient orthopedics specializing in manual therapy and therapeutic exercise. It was through these experiences that Jacqueline was able to further develop her clinical skills, as well as her natural ability to listen, empathize, and to deeply understand every patient and client she treats. 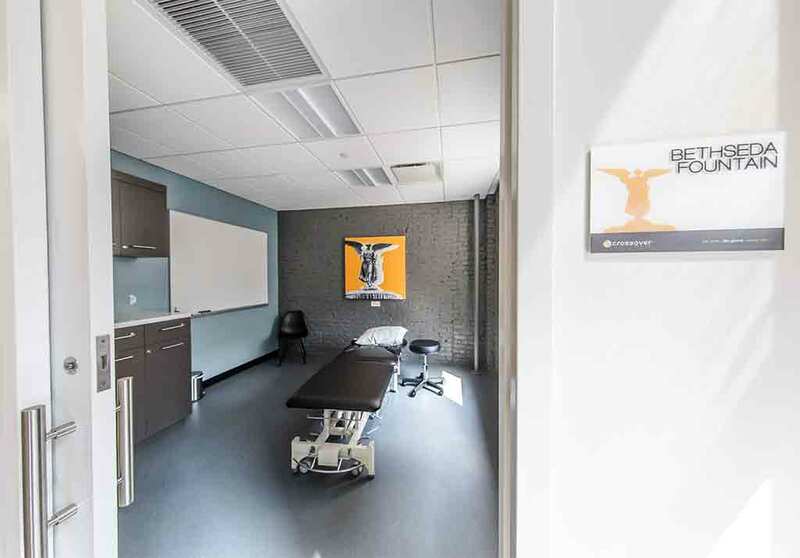 Whether you are a student, a business professional, a “weekend warrior”, or a professional athlete, you are worth the highly individualized and professional care to recover from any injury or pain inhibiting your functional capabilities. Outside of the clinic, you’ll find Jacqueline spinning the wheels cycling, as well as spinning her legs with a newly found passion for running! She recently obtained certification as a health coach and is currently working towards her nutritional coaching certification. And if not getting her cardio and health fixes, Jacqueline loves spending her free time with family, friends, and her French Bulldog fur-baby! Johanna is a California native who always had a passion for health and fitness. Growing up as an avid wushu martial artist, she learned from an early age the importance of biomechanics, balancing strength and flexibility, proper nutrition, and recovery. Johanna has extensive experience working with a variety of patients, from the pediatric to geriatric population, as well as professional athletes and weekend warriors. Johanna graduated with a bachelor’s degree in Biology at UC San Diego before earning her Doctorate in Chiropractic at Palmer College of Chiropractic West. She ran her own practice for two years prior to joining the amazing Crossover team at Facebook Health Center. 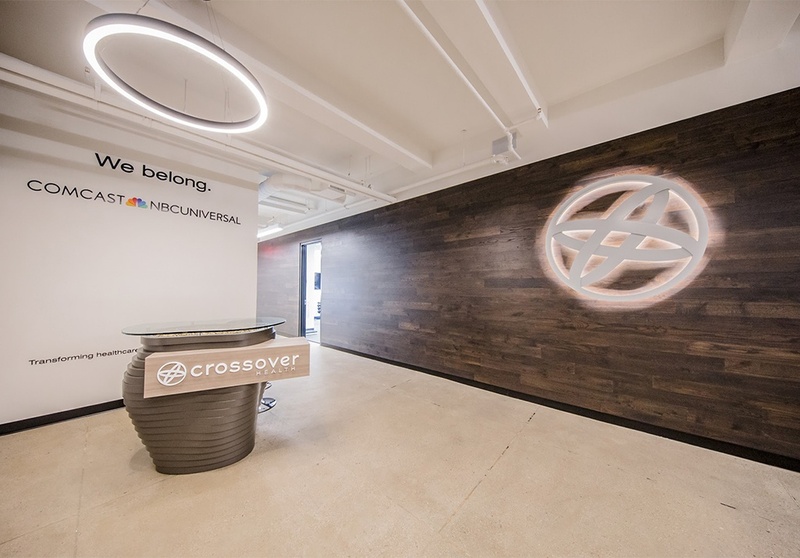 In summer of 2017, Johanna transferred to the East Coast to partake in Crossover’s expansion in New York City. And she is loving every second of it! Roxxi McCauley, DC is a native New Yorker with all the enthusiasm and spirit that innately provides. Roxxi was formerly a giftware buyer who then became a Chiropractor after experiencing a personal health issue, that evaded traditional medicine. The chiropractor that treated her healed her so dramatically that she was drawn to the career. She was inspired to help others as she was helped. She is a graduate of University of Bridgeport Chiropractic College. Here she study a rigorous medically based program with concentration on patient specific care. After graduation she began as a freelance chiropractor in Manhattan her patient base grew quickly and decided to establish her own practice in the up and coming community of Beacon NY. In 2015 she sold this practice taking some time off to travel. Dr McCauley uses a variety of techniques to treat her patients.While she enjoys working with all types of patients and issues she has a special interest in women health, including pre and post natal care. She feels strongly that each patient must be treated as an individual. She enjoys spending time learning and keeping up with the latest techniques and research. Currently she is pursuing certification in Electrodiagnostic Testing. In her time off she enjoys her family and friends. Some of her favorite hobbies include hiking, broadway shows, the NY Rangers, traveling, and she is very passionate about all animals and anything Bravo. Dr McCauley is very excited to be a part of the Crossover Health Team that is dedicated to providing patient centered care. Camilla was born in Vermont and raised in Massachusetts. She went to college in the Pacific Northwest at Evergreen and then lived in Portland, OR and on the Oregon coast for several years after graduating with a Bachelor of Science in Biology and Chemistry. After 8 years out west Camilla returned to the Northeast and settled in Brooklyn, NY. Camilla has always been drawn to food and interested in how we use it to nourish ourselves. Once in New York, she started working in both the food service industry and health education. She attended the Institute for Integrative Nutrition and received a certificate in Health Coaching through IIN and Columbia Teachers College. After finishing that program she enrolled at Hunter College to pursue the Registered Dietitian credential. 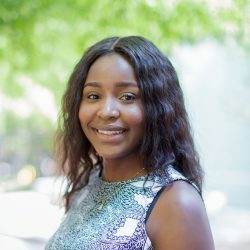 While at Hunter she was a member of Kappa Omicron Nu, an honors society and volunteered at The Harlem Ivy after-school program at Columbia Teachers College teaching school children how to cook and about farming and sustainability. 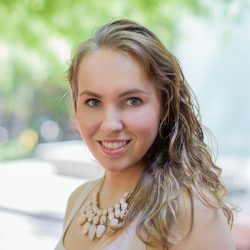 Camilla is a Registered Dietitian through the Academy of Nutrition and Dietetics and a Certified Dietitian-Nutritionist through New York State. Camilla loves to cook, especially for friends and family. She enjoys yoga and getting out of the city upstate into the country. She can be found every Saturday at the Fort Greene farmers market in her neighborhood looking for food inspiration. 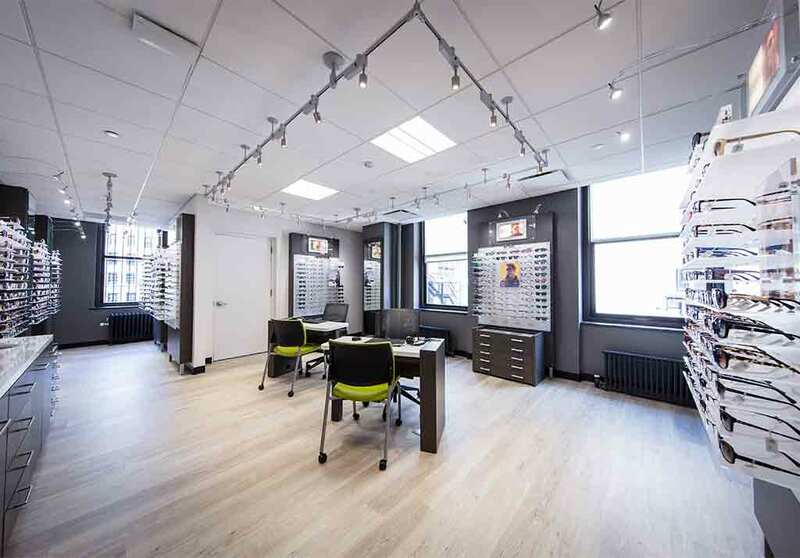 Rupal Kakkad, OD, is a New York State licensed optometrist who practices to the fullest extent of her scope. Though originally from California where she received her bachelor of science from the University of California, Davis, she has since moved to the East Coast where she earned her Doctor of Optometry degree from SUNY College of Optometry right here in New York City. During her years at SUNY Optometry, she was a recipient of the Graduate Diversity Fellowship and had the opportunity to work at Woodhull Hospital in Brooklyn as well as the Optometry Clinic at West Point Academy. As an optometrist, Rupal is dedicated to ensure her patients receive the best care and always feel comfortable engaging in an open dialogue. Having lived in 3 different states prior, Rupal has now lived in New York City for the past 6 years where she enjoys trying new restaurants and cuisines or a walk on the High Line. She enjoys reading many different genres specifically suspense/thriller though she is branching out into more non-fiction. Rupal and her husband are avid travelers having visited 24 states, 13 countries and counting! She documents her experiences on her blog. Every once in a while, she indulges in a good Islay single malt scotch. Miguel is a board certified Physical Therapist Assistant with experience in sports and orthopedic rehabilitation. He graduated with honors from a competitive Physical Therapist Assistant program at Laguardia Community College. Miguel is also pursuing a Doctorate of physical therapy degree. 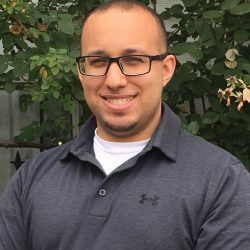 Currently, Miguel holds certifications in the Graston technique, Kinesio taping, Functional Patterns, and the Postural Restoration Institute. His favorite part working as a physical therapist assistant is being able to see patients recover and improving thier quality of life. Miguel was born and raised in the Bronx, NY where he still resides. His hobbies include Jogging, Exercise, and Travelling. In school he was part of a volunteer group of physical therapists that travelled to Cuba to provide rehab services and medical equipment for the country’s rural areas. Miguel is also the proud owner of two dogs KC and Tex who he adopted from Texas after Hurricane Harvey. 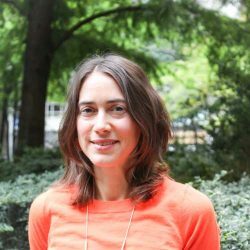 Elyse Chaifetz, Ph.D., is a New York State licensed psychologist with extensive experience in cognitive behavioral therapy (CBT) as well as acceptance based and mindfulness approaches. Additionally, as a trained health psychologist, she has expertise in working with patients with various health concerns (pain, insomnia) and chronic medical conditions. 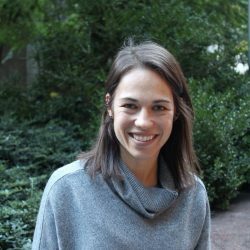 Dr. Chaifetz completed her pre-doctoral internship year at the VA NY Harbor Healthcare System where she worked in a day treatment setting and both an inpatient and outpatient substance abuse program. She then went on to complete her post- doctoral residency in a group practice where she specialized in utilizing modern technology including virtual reality therapy and biofeedback. 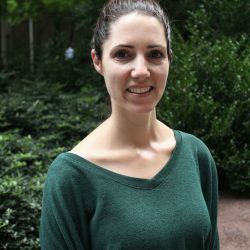 Following her residency, Elyse worked for two and a half years at Rusk Rehabilitation, NYU Langone Medical Center as an inpatient rehabilitation psychologist. She now maintains a private practice where she specializes in the treatment of anxiety, mood disorders, and relationship issues. Elyse was born and raised on Long Island, New York and has lived in Manhattan for the past 10 years. Before obtaining her Doctorate in Psychology at Ferkauf Graduate School, Yeshiva University, she graduated with honors from The George Washington University. She enjoys going to the gym, reading, exploring New York City, and spending time with her friends and family. 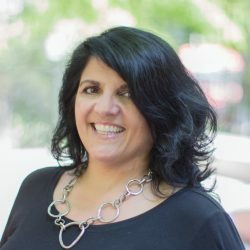 Agnes Selinger is a New York State licensed psychologist with expertise in cognitive behavioral therapies for young children, adolescents, and adults. Dr. Selinger has extensive experience providing exposure and response prevention (CBT) to individuals suffering from obsessive compulsive spectrum disorders and anxiety disorders, as well as depression, trichotillomania, Tourette’s and ADHD among others. 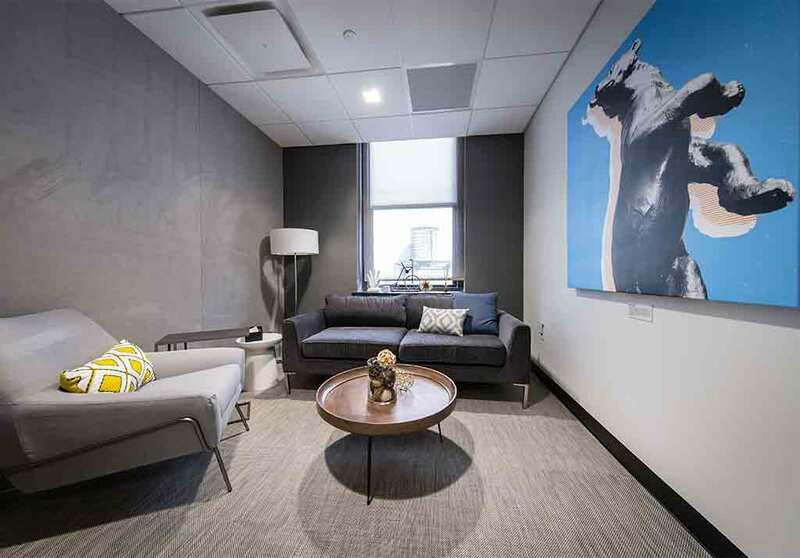 In addition, Dr. Selinger has been intensively trained in Dialectical Behavior Therapy (DBT) and frequently incorporates acceptance based strategies such as mindfulness into her treatment. Dr. Selinger enjoys the outdoors such as hiking, skiing and swimming at the beach. She has a passion for traveling and has visited 26 countries and hopes to add more. When not outdoors, she likes spending time with her friends and family going out to dinner, to Broadway shows, museums and everything else that NYC has to offer. 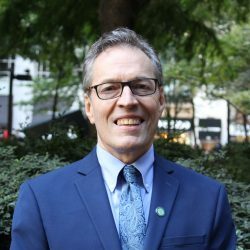 Paul Park, Psy.D is a NY State licensed psychologist who has helped people through loss, traumatic events, and life transitions. He believes that the foundation for a successful therapy is a strong therapeutic relationship. Building on this alliance, Paul helps his patients manage difficult emotions/thoughts/reactions, navigate personal/professional relationships, and cultivate self-awareness and a greater compassion for oneself. Paul has received postgraduate training in treatments for trauma (CPT, EMDR) and substance abuse, and Motivational Interviewing; and incorporates the principles of AEDP and Mindfulness Based Stress . Reduction into his practice. Paul arrived at Crossover Health by way of Bellevue Hospital Center where his responsibilities as a Senior Psychology and Mental Health Liaison included helping people work through their grief , trauma, family/multicultural issues, and adjustment to complex medical issues (e.g., cancer, respiratory/pulmonary issues). Previously, as the Mental Health Director of the World Trade Center Clinical Center of Excellence at Rutgers University, Paul managed a full-scale mental health clinic, developing new services and codifying the policies and procedures related to mental health; and provided assessments and psychology treatment to the first responders of the 9/11 TWC attack. Paul also completed his Postdoctoral Fellowship in Clinical and Community Psychology at Yale University School of Medicine and is Pre-doctoral Internship at Greystone Park Psychiatric Hospital. Paul was raised in Torrance, CA, completed his B.A. in Cognitive Science and Psychology at UC Berkeley, and made the pivitol move east to pursue his Psy.D. in Clinical Psychology at Rutger University. In his spare time, he enjoys long runs around Manhattan, outdoor events, and weekly hikes with his family. 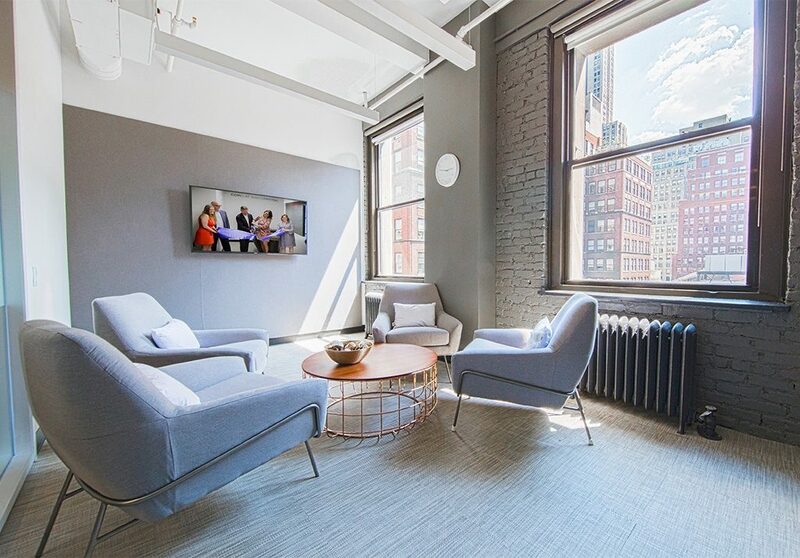 Kore Glied, Ph.D. is a New York State licensed clinical psychologist who specializes in Cognitive Behavioral Therapy (CBT), Dialectical Behavior Therapy (DBT), and Acceptance and Commitment Therapy (ACT). 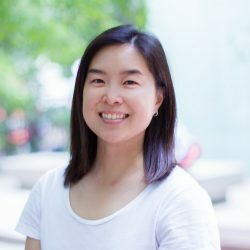 In addition, to her work as a psychologist at Crossover Health, Kore is also voluntary faculty at Mount Sinai Hospital where she worked for many years previously. She also sees clients in her private practice in Manhattan. Kore works with a wide range of patients including those struggling with anxiety, depression, stress, sleep, eating, and relationship issues. She has speciality training in the treatment of adults with childhood abuse. She also has experience working with individuals with HIV and other chronic medical illnesses. Kore was born and raised in New York City. She lives in Manhattan with her family. She received her undergraduate degree from Carleton College in Minnesota and her Doctorate in Psychology from Rutgers, University in New Jersey. She completed a Predoctoral Internship at Montefiore Medical Center and a Postdoctoral Fellowship at NYU Medical Center. In her free time, she likes to swim, bake blondies, and spend time with friends and family. Lauren O’Flaherty, Psy.D. is a New York State licensed clinical psychologist with a variety of experience including both outpatient and inpatient treatment. She has worked in hospitals, community mental health, correctional settings and student clinics. 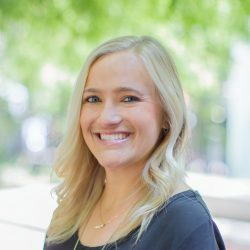 Dr. O’Flaherty was born in England and raised in sunny Orange County, California, where she attended the University of California, Irvine and obtained a dual Bachelor’s Degree in Psychology and Social Behavior and Criminology, Law and Society. The mountains of Denver, Colorado brought her to graduate school at the University of Denver, first obtaining a Master’s Degree in Forensic Psychology and subsequently, a doctoral degree in Clinical Psychology with an emphasis on Behavioral Therapies (CBT/DBT/ACT). She gave up nature for the excitement of New York City, completing her predoctoral internship at NYU/Bellevue Hospital. 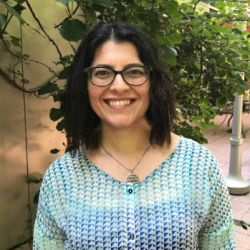 After completing her postdoctoral hours at Manhattan Psychiatric Center, she returned to Bellevue, where she worked with justice involved and underserved individuals and was a part of the training of psychology students through the Psychiatry Department at NYU School of Medicine. Additionally, she is a certified Holistic Health Practitioner with training in nutrition and health coaching. Professionally, Dr. O’Flaherty is driven to help individuals identify values, recognize and change thought patterns, and integrate emotions with thoughts and behavior. Moreover, she believes people discover their best selves through overall wellness habits, including not only psychotherapy, but also through movement, nutrition and mindfulness. She loves getting to know people and working to collaboratively come up with creative solutions to challenging situations – with the end goal of helping individuals get what they want out of life. 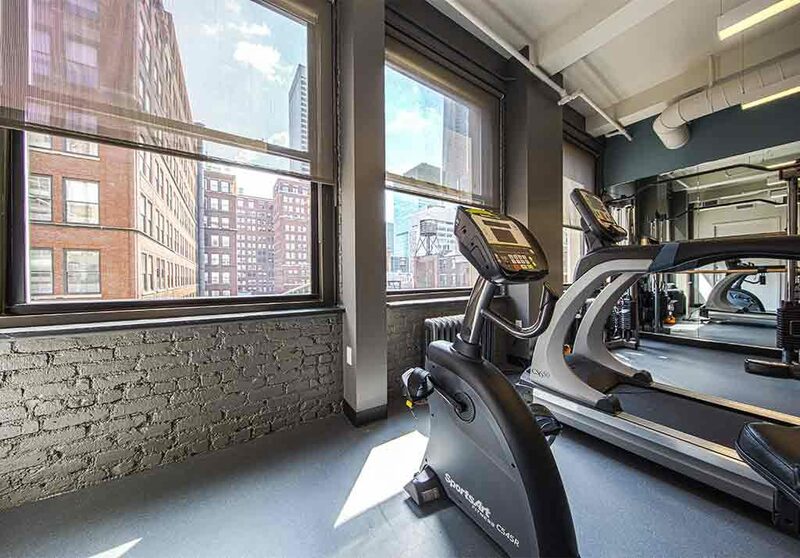 Dr. O’Flaherty lives in Manhattan with her husband and enjoys exploring the city’s museums, trying new fitness studios, discovering great restaurants and taking her puppy to the dog park on weekends. She also enjoys running, hiking, travel, reading, taking classes and spending time with loved ones. Education: Emory University, B.A. 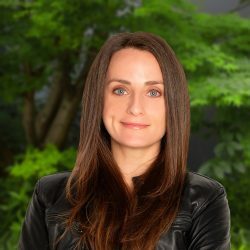 ; Ferkauf Graduate School of Psychology, Yeshiva University, M.A., Ph.D.
Erica Kaplan PhD is a New York State Licensed psychologist who specializes in the treatment of anxiety and related disorders (OCD, perfectionism) and adjustment to acquired health conditions (headache, pain, orthopedic injury, brain injury). She also has extensive training in neuropsychological assessment and the study of brain-behavior relationships with a sub-specialty in concussion. 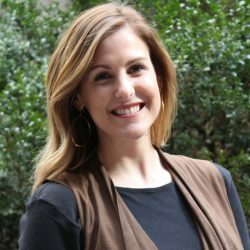 Dr. Kaplan has expertise in Cognitive Behavioral Therapy (CBT) and also integrates techniques from dialectical behavior therapy (DBT) and client centered therapy to empower each of her clients to create meaningful and positive change. Dr. Kaplan earned her BA with highest honors from Emory University and her clinical psychology PhD with emphasis in health psychology and clinical neuropsychology from Ferkauf Graduate School of Psychology, Yeshiva University. 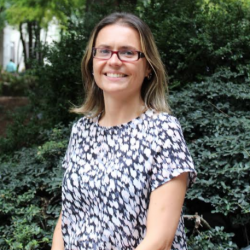 She completed a predoctoral internship at Rusk Rehabilitation, NYU Medical Center and a two year post-doctoral fellowship at the Icahn School of Medicine at Mount Sinai. Prior to coming to Crossover Health, Dr. Kaplan worked as an attending neuropsychologist at Southside Hospital-Northwell Health. She also sees clients in private practice in Manhattan. Dr. Kaplan was born and raised in Long Island, New York and currently lives in Manhattan with her husband. She is an avid sports fan and enjoys watching football, basketball and soccer as well as running and trying new fitness classes. She also loves all types of live and recorded music and is especially fond of Broadway. Education: California School of Professional Psychology at Alliant International University San Francisco, CA. Dr. Julie Groveman is a licensed Clinical Psychologist, who truly enjoys helping others and trying to understand each person’s life experience. With compassion and focus, Julie is committed to providing excellent care to her patients. 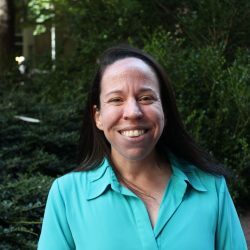 She has worked in a wide variety of clinical settings including hospitals, outpatient community clinics, a college counseling center and other academic settings. Julie attended Boston University where she received her Bachelor’s degree in Psychology. She then attained a Master’s and Doctoral degree in Clinical Psychology from Alliant International University in San Francisco. 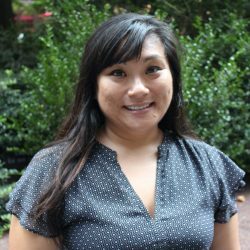 She completed her predoctoral internship at San Jose University’s Counseling Services and her postdoctoral residency in Adult Psychiatry at Kaiser Permanente in California. Having lived and trained in some of the most culturally diverse areas, she honors and respects the complexity of culture. Julie specializes in treating Anxiety, Depression, Social Anxiety, Relationship Concerns, Grief/Loss, Coping with Transitions, Body Image issues and Building Self-Esteem. Aside from her work, she likes spending time in nature, biking, photography, and traveling to new places. 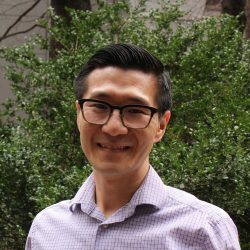 Dr. Leung is a licensed clinical psychologist who strives to provide mental health treatment with compassion. She has expertise in the treatment of anxiety, fear, obsession and compulsion, trauma, depression, sleep, and work-related stress. She specializes in cognitive behavioral therapy (CBT) and work jointly with patients to overcome barriers and build a healthier life. She is passionate in helping her patients develop coping strategies so that they have greater freedom to pursue their values and goals. 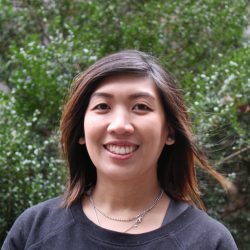 Dr. Leung earned her B.A. in psychology from Binghamton University State University of New York and her Ph.D. in clinical psychology from the University of Maryland at College Park. 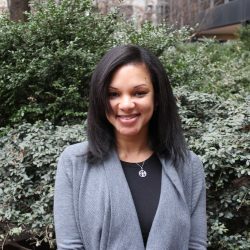 She completed a Predoctoral Internship at the Baltimore VA Medical Center and a Postdoctoral Fellowship at the James J. VA Medical Center/Mt Sinai Medical Center. She has since worked in various clinical settings including the New York State Psychiatric Institute and Bellevue Hospital Center. In addition to her clinical work, she has also held faculty appointments at Columbia University Medical Center and NYU School of Medicine where she supervised and trained psychology interns and fellows. 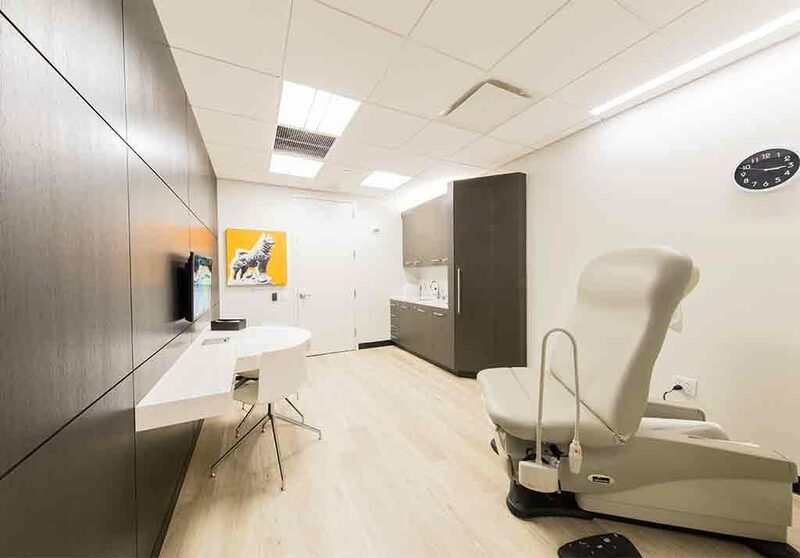 Dr. Leung also sees patients in her private practice in Manhattan. Dr. Leung was raised in Long Island, NY and has lived in NYC for over 10 years. She is an avid photographer and she is passionate about food and travel. She also enjoys running, kettlebell kickboxing, and spending time with her friends and family. Certifications: L.Ac. 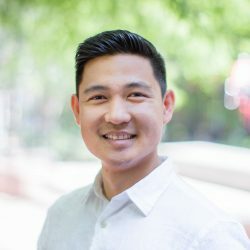 (Licensed Acupuncturist), CD (DONA Certified Advanced Doula), NADA Protocol (Auricular Acupuncture for Addiction and Detox), Post Graduate Certification (Classical Chinese Secondary Channels with Master Jeffrey Yuen, NYC). Education: NYCTM (New York College of Traditional Chinese Medicine) ,MS (Masters Degree Heath Science). 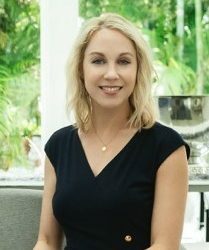 Dedicated, sensitive and highly trained, Jessica Sowards provides her patients with a deeply grounded and informed foundation from which to transform their health and enrich and empower their lives. 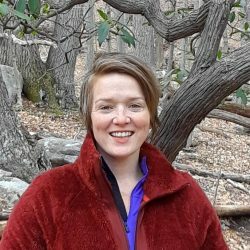 Jessica is a Licensed and Board Certified Acupuncturist in New York State where she completed a four year post secondary Acupuncture and Chinese Medicine program at The New York College of Traditional Chinese Medicine where she also earned a Master’s degree in Western Health Science. She then pursued additional Graduate training in Classical Acupuncture techniques with Dr. Jeffrey Yuen in Manhattan’s Chinatown Wellness Center. Jessica offered clinical Acupuncture services to New York City Firefighters and their families through the Friends of Firefighters organization where she focused on chronic pain and injury, mental health and stress relief. In addition, Jessica is an expert in natural childbirth and holds an Advanced Certified Labor Doula designation. She has guided and assisted laboring women during hundreds of joyful births in the past ten years. Her areas of focus and special interest include Women’s Health and fertility, the childbearing year, mood disorders, as well as sports medicine, rehabilitation, and pain relief. She maintains a private practice in the Flatiron District in New York City. Stefanie received her BA from McGill University in Montreal and her M.Ac from the New England School of Acupuncture. She is certifed by the NCCAOM and licensed to practice in New York. She has worked as an research acupuncturist at Massachusetts General Hospital on a number of pain management studies funded by the National Institute of Health and was the senior acupuncturist and clinic supervisor specializing in drug and alchohol detox at Fenway Health. Stefanie holds a certificate in Acupuncture for the Cancer Patient from Memorial Sloan Kettering Hospital and was on staff as the yoga instructor at the Dana Farber Cancer Institute’s Zakim Center for Integrative Therapies. Kelsey was first introduced to Acupuncture when she was 18 years old and suffering from back pain from a car accident. When her pain went away from a series of treatments, she knew that there was something magical about acupuncture. 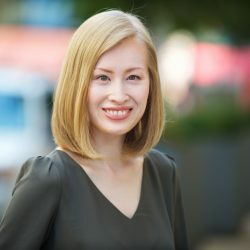 After graduating from the University of Washington with a Bachelors in Science in Psychology, she would go on to pursue her Masters in Science in Acupuncture and Oriental Medicine from Bastyr University. After graduating in 2010 she participated in an externship program at Chengdu University of Traditional Chinese Medicine in Chengdu, China in 2010. Kelsey has a passion for helping others and strives to help others in reaching their wellness goals. She has a hunger to learn and grow in her profession. She likes being challenged so that she can learn from each experience. Kelsey has over six years of clinical experience in both a spa setting and rehabilitative settings. She started as an acupuncturist working onboard major cruise lines, such as Disney, Carnival, and Royal Caribbean. Onboard, Kelsey was able to introduce Acupuncture and Traditional Chinese Medicine to thousands of passengers onboard. Living in a fast paced setting lead her to settle in New York where she has been for 3 years now. She has spent her time in the city working in multidisciplinary settings along side chiropractors, physical therapists, and massage therapists, and pain management doctors. She has also worked in spa settings with Exhale Spa Central Park South and community style acupuncture clinic, City Acupuncture. In her spare time, Kelsey enjoys exploring the city or being outdoors. She likes to be as active as she can by working out, hiking, playing volleyball, or yoga. If she isn’t doing something active you can catch Kelsey being entertained by a Broadway show. Kelsey believes that every day is a new opportunity to try something new. Katherine Rohland earned her Masters in Science from Tri-State College of Acupuncture and is a New York board certified acupuncturist. She has had additional training in pediatric acupuncture from the esteemed Soma Glick. Katherine also holds a background in physical fitness, having worked as a Personal Trainer for over 6 years and is avid participant of the running and wellness community. Prior to becoming an acupuncturist, she worked in the advertising industry for 7 years. Katherine is passionate about acupuncture and Chinese medicine because it offers solutions for issues that Western medicine can not diagnose, or effectively treat. Katherine became an acupuncturist in order to help others who suffer chronic, un-diagnosable, or just plan out frustrating problems such as she did. She is dedicated to finding answers for her clients and works with everyone on an individual basis to craft the treatment that is right for them. Education: B.S. in Rehabilitation Science- Boston University, A.A. in Massage Therapy- The Swedish Institute, Masters in Special Education, Behavior disorders. Maggie knew she wanted to be a massage therapist since she was about eight years old when she became the in-house massage therapist for her family. As one of seven children, this was quite a task at this young age. She followed that dream and graduated from The Swedish Institute of Massage Therapy in 2006. Since then she has worked as a licensed massage therapist alongside physical therapists, chiropractors, acupuncturists and personal trainers, allowing her to expand her knowledge of the human body and treatment options. Outside of massaging, Maggie practices and teaches yoga and self-care classes and tries to get out of the city monthly for long hikes. She is committed to continuing to learn new ways of moving regularly and is currently working on juggling and braiding. She is a firm believer in living a minimalist lifestyle in order to incorporate more movement into your daily life. Yuritzi’s has been performing massage therapy since 2004 in Mexico as a way to help understand human musculature and arthrokinematics, but her involvement in movement-based activities began well beforehand. She began her career as a dancer long before becoming a therapist in the healing arts, with her first public performance occurring at the age of 5. 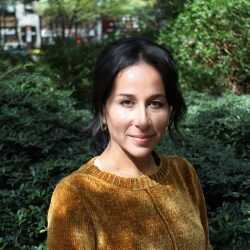 Yuritzi’s first studies in massage therapy started in a shamanic therapeutic massage school in Mexico and she later obtained her degree from the Swedish Institute in NY. 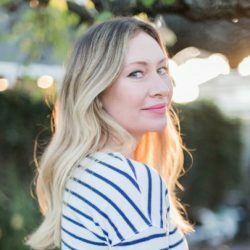 Her academic background also includes computer science, contemporary dance via winning a scholarship to attend in CENADAC, mat Pilates, Bowen Therapy, Polarity Therapy, and obtaining a certificate specializing in Manual Lymphatic Drainage (MLD) and Complete Decongestive Therapy from the Vodder School. Yuritzi has been fortunate to work with dancers, spas, athletes, in the corporate world, spiritual retreats and ashrams in US, Mexico and India by sharing her experience in massage therapy and movement among other settings, and feels that her experiences have allowed her to provide a connection with people through a patience and tolerance that can only be learned by experiencing culture at an international level.